but where i put the total submission? 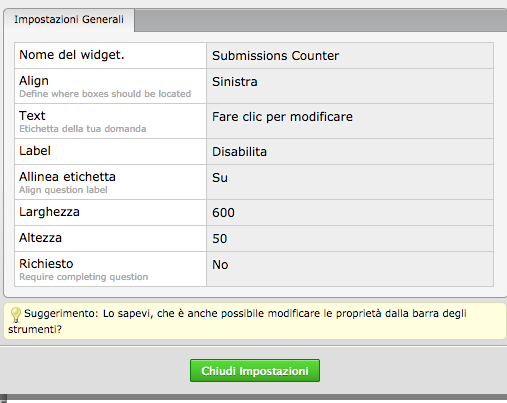 I need of a widget that print on my form the submission remaining! 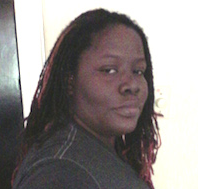 I understand that you want to display the submissions remaining on your JotForm. 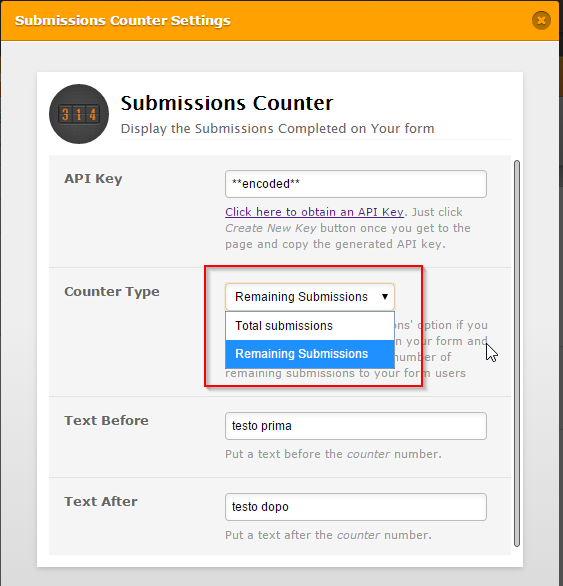 You can use the same Submission Counter widget to display the remaining submissions count. 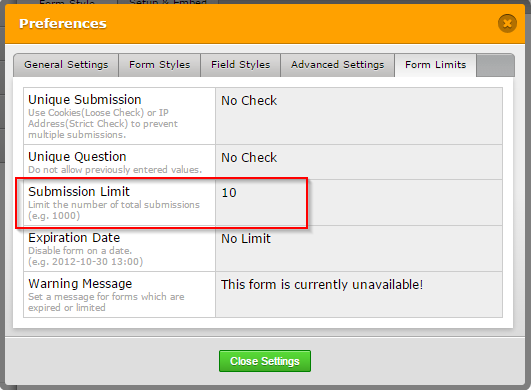 However, you would need to set a limit the receive the submissions by the form to display the remaining submissions. form styles, field styles, advenced settings and form limits.. I have only General settings.. I'm sorry about that. I see that you are referring to the properties of submission counter. 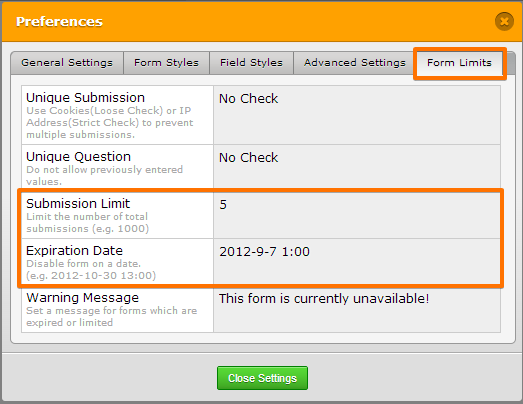 The form limits can be set from the Form Preferences. Please refer to the following guide that provides with additional information on Form limits. On behalf of my colleague, you are most welcome. We are happy that we could assist you.